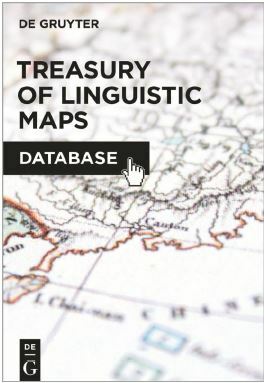 We now have trial access – until 13th June 2016 – to Treasury of Linguistic Maps Online. Treasury of Linguistic Maps Online presents linguistic maps selected from various atlases and other publications that have been published over the years by De Gruyter Mouton and other De Gruyter imprints. For the first time, this material is made available and searchable in one place and in a new, improved format. All maps have been scanned in high-resolution for maximum quality and enriched with detailed metadata. Many of these maps have not been digitally available before, and some are difficult to find even in printed form. The map interface allows zooming in on details, printing, and PDF export. As always, your views on the resource will be most welcome! This entry was posted in Electronic resources and tagged e-resources, Linguistics by adonnelly. Bookmark the permalink.